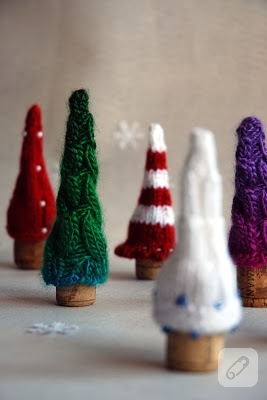 We love DIY Christmas trees. 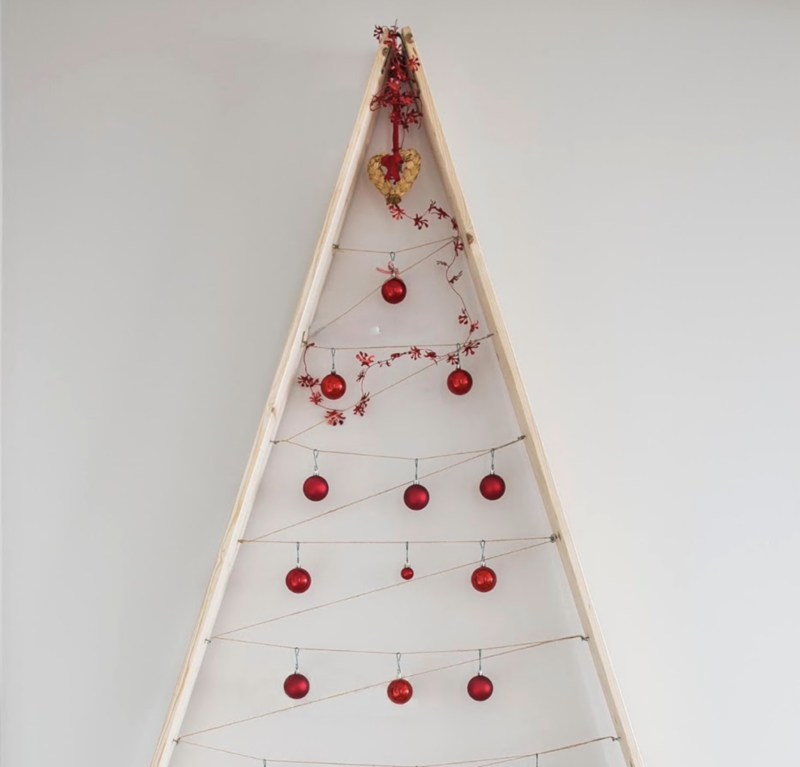 You can make your own tree by your hands and it doesn’t have to have a single leaf. 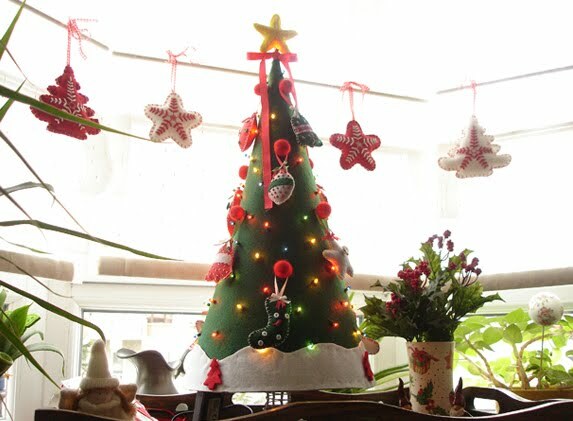 These amazing DIY trees are made by crafters and they look amazing. Let’s have a look. For the first one above you need some wooden pallets. After putting together as a wood sheet by nailing two pallets vertically, paint it white. Now you need some thin nails or pushpins. Nail them in the form of a triangle. Put a red string around them and tada, you’ll have a tree (sort of). 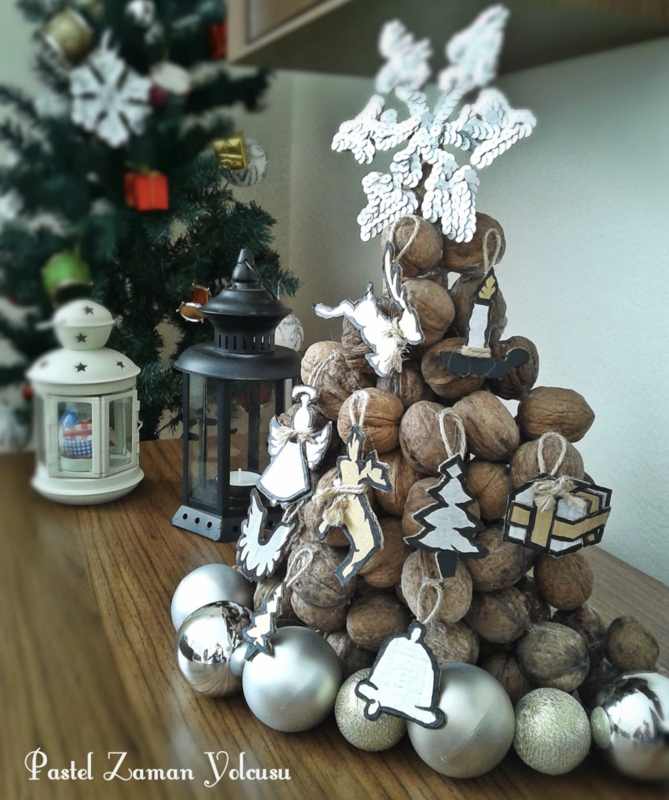 Hang your ornaments, place the lights and you may want to add a Christmas wish. You’re ready to show off! 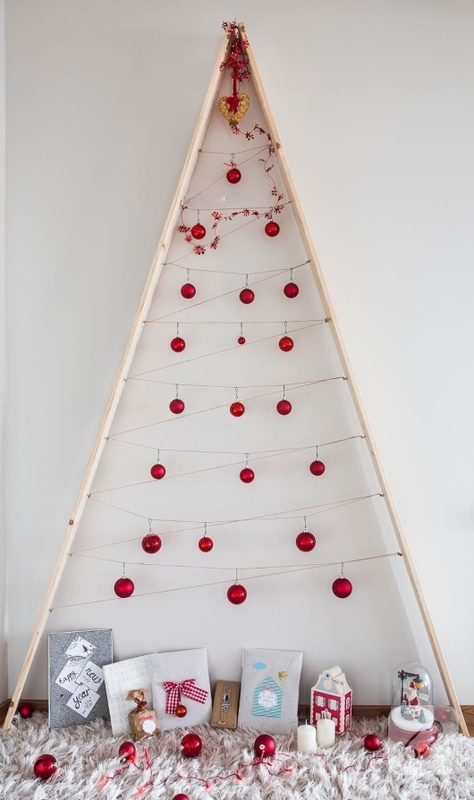 For a similar one, actually made by the same crafter, you’ll need two long wooden bars. 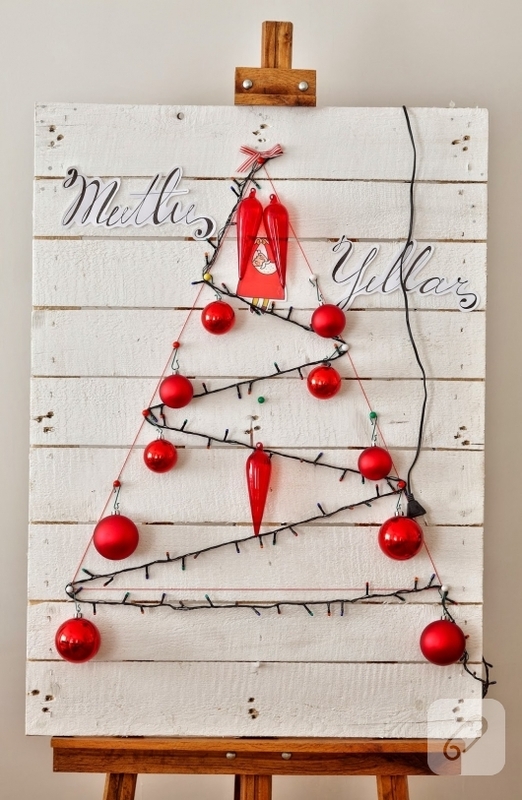 Place them as a reverse side V. Nail pins, tie a red string as shown, hang your ornaments. Lovely and impressive, isn’t it? Felt time! Curl up a thick green felt in a form of a cone, glue a snow shaped thin white felt onto lower part, decorate it as you wish. Proudly place it in the middle of your Christmas dinner table. Want some change? Then you’ll need some nuts. Make a stack of nuts in a form of a cone and glue them each other. Decorate it as you wish but if you ask us, it’s quite pretty. Eye-catching, no? 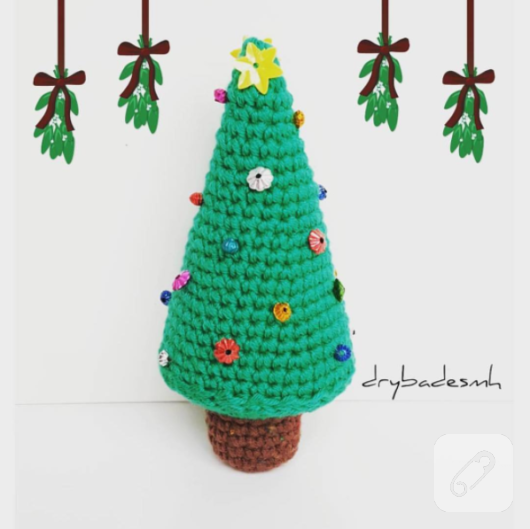 If you know how to crochet, you may give it a try to make these two small wool trees. Decorate them with small beads.